After previous seasons in 2015 and 2016, Red Bull Foiling Generation is back, with Flying Phantom catamarans lifting over the water at up to 35 knots in a novel format. Sailors aged 16-20 compete in a series of heats on four identical boats of distinct colors until the final race determines the team that will represent its country in the World Final. This global competition gives wings to promising talent across seven events, in as many countries - France, New Zealand, Netherlands, Switzerland, Austria, US. 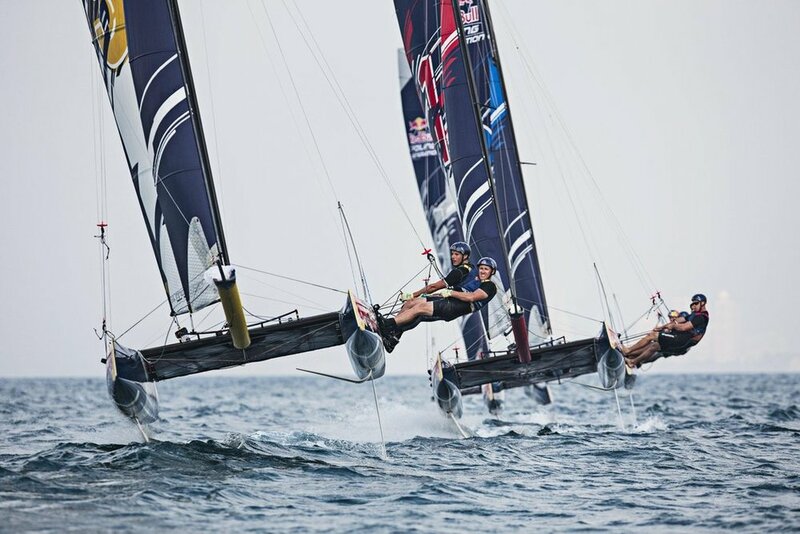 Red Bull Foiling Generation is about providing talented young sailors, ages 16-20 with the opportunity to advance their careers through top-notch hydrofoil racing. The competitions serve as training waters for the Red Bull Youth America’s Cup, which caters to competitors ages 19-25. Both competitions train youth sailors from all over the globe on smaller versions of catamaran racers with foils, like those used in one of the world’s most famous sailing competition: America's Cup.